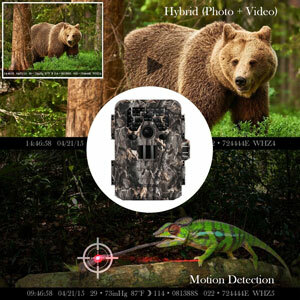 TEC.BEAN is a company whose trail cam products are steadily growing in popularity. 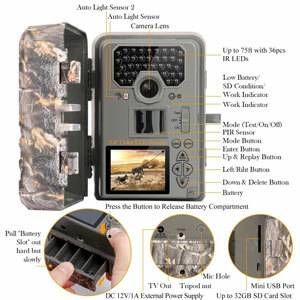 This trail cam model from them we have been hearing many good things about. Once any trail cam starts to attract our attention on a regular basis we like to then pass that information on to you. 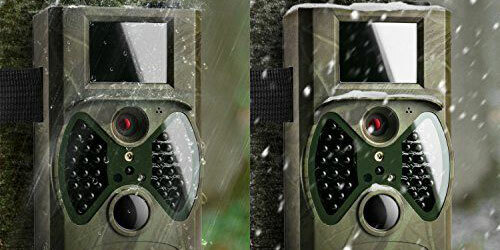 Here are some more specific details on the TEC.BEAN Game & Hunting Camera. 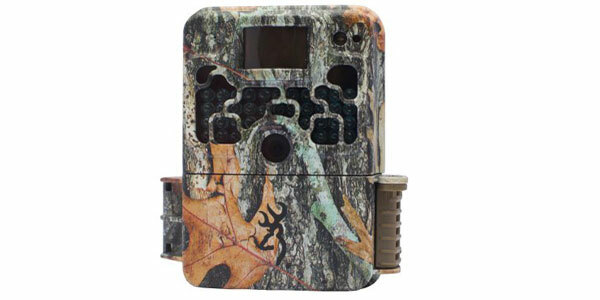 This TEC.BEAN trail cam emphasizes photo quality and range. It provides you with up to 12 megapixels of photo quality and up to 90-second bursts of 1080P HD video. You will have no problem identifying the game from the photos and videos it takes. The quality of the nighttime photos it takes is very good too. This is due to the fact it uses a 36 infrared LED setup when taking nighttime photos. These are no-glow infrared LED’s so they are virtually undetectable by humans and animals. It also has a very long 75’ motions sensing range. 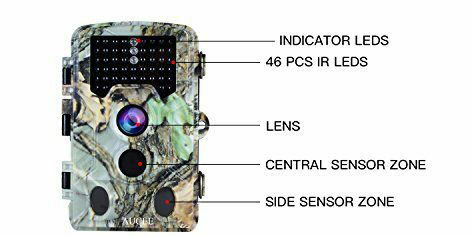 That is one of the longest motion sensing distances of all the different trail cam models we have reviewed. Despite all the different video and still photo shooting modes this trail cam has, it’s still very simple to program. All the programming is done on it by using its 2.4” display screen with simple to understand menu driven instructions. 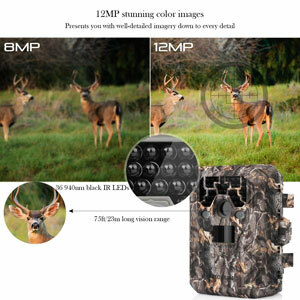 The battery life you get with this model trail cam is very good. Its 8 AA batteries can take almost 10,000 photos before they need replacing. The different shot taking modes allow you to extend its battery life even further. 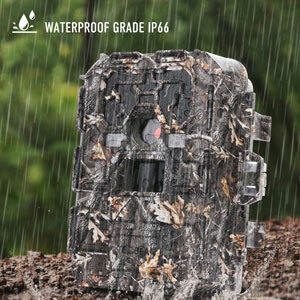 Trail camera cases don’t get much stronger than the one this TEC.BEAN camera has. It is made out of extra heavy duty plastic and it seals up very tightly when it’s closed up. This trail cam can be permanently mounted or you can use its included strapping system to temporarily fasten it to a pole or tree. 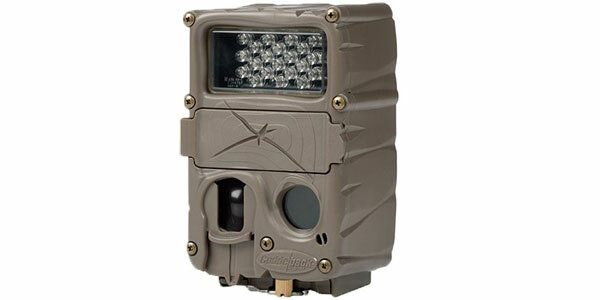 One of the best things about this trail cam is it has built-in coding to help prevent theft. Believe it or not, we hear many stories about trail cams disappearing. It’s a shame but it happens. 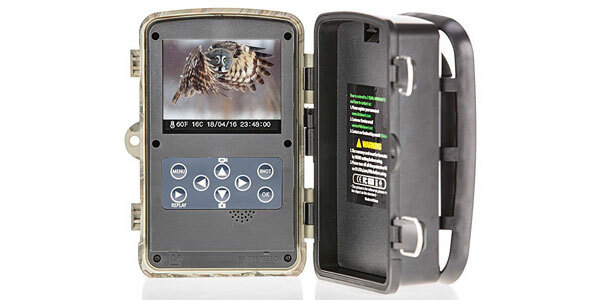 Simply by coding in a password, you can make this trail cam’s display screen unable to be used by others. This product also has an industrial grade plastic casing for extended life. It is waterproof, dustproof and more. That will give you a lot of confidence in a product that is exposed to the elements 24/7. It also helps keep the camera lens fog and moisture free. 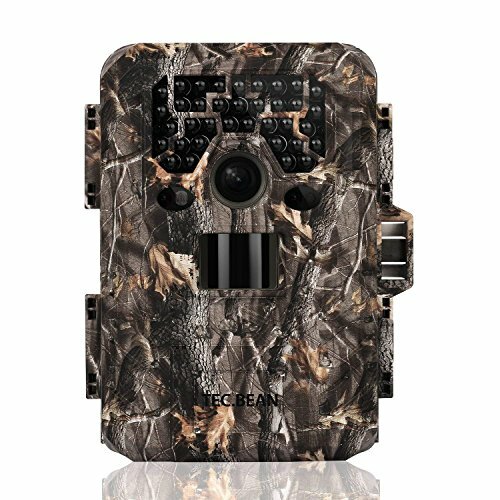 The TEC.BEAN Game & Hunting Camera has what seems to be the traditional 1-year game camera warranty. There is nothing special about its warranty. As nice as this trail camera is it still has some drawbacks when using it. For starters, it has no Wi-Fi capability. That means any time you want to view its photos or videos it requires a trip into the field where it’s located. Many users have indicated that the instruction manual needs improvement also. Fortunately, the easy menu driven instructions on the display screen will help you overcome this somewhat. There truly is a lot to like about the TEC.BEAN Game & Hunting Camera. 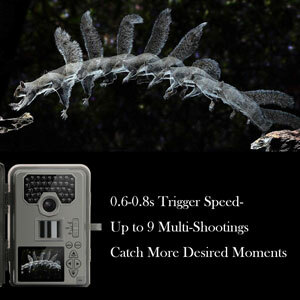 It has top of the line photo and video resolution and can sense movement at very long distances. It’s extremely well-built, attaches easily to objects and has a more than acceptable battery life. We really like its theft deterring password protection too. 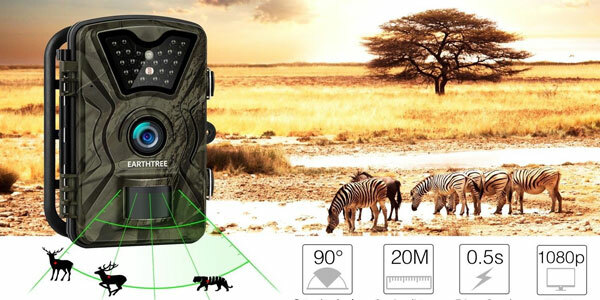 Although this camera may not have the strong name associated with it as some other well-known trail cameras, you definitely do not want to overlook this model as you are shopping for a new game scouting camera.